We are elated to accept EXHIBITOR Magazine’s award for “Best Island Exhibit” in the 600-1,000 square foot category as part of the 2017 Portable/Modular Awards. The exhibit was selected by a panel of ten judges for its quality design and excellent use of a modular system. 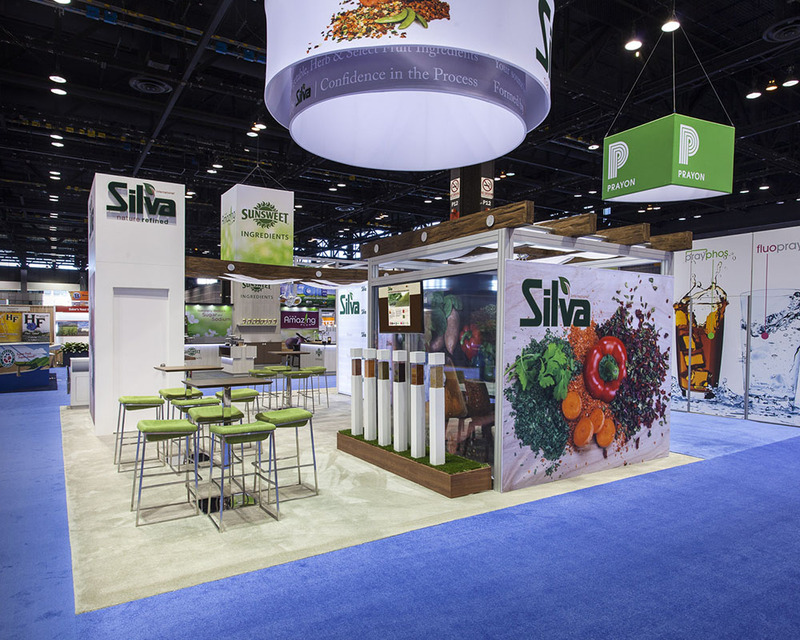 The award-winning 30’ x 30’ exhibit is for our long-time client, Silva International, a wholesale dehydrated fruit and vegetable distributor. The modern booth design allowed for several open and semi-private meeting areas and unique product display that doubled as the exhibit’s décor.